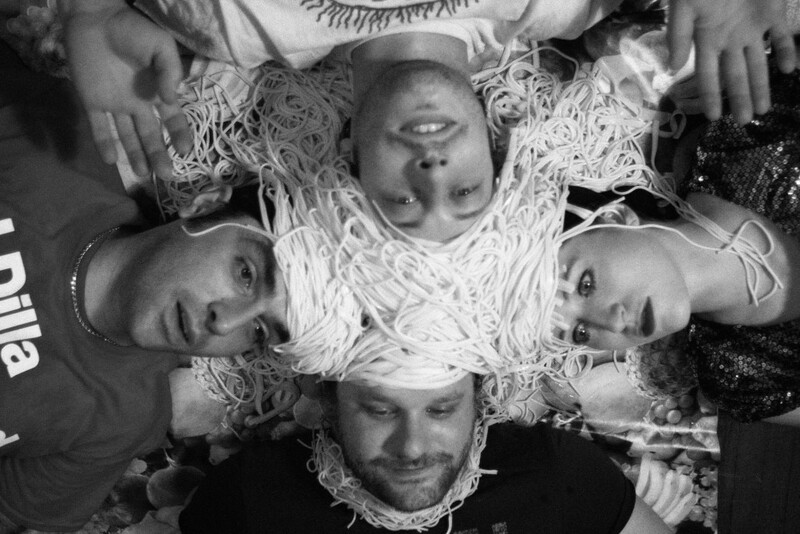 Prepare yourselves for a superdope psych-punk thrashing from the lunatic minds behind Montreal’s CPC Gangbangs , Red Mass and Duchess Says. This new amalgamated group is called PYPY (π π), and this debut LP “Pagan Day” is a mind searing concoction of sinister wah-wah freakouts littered with fuzz, distortion and the necromantic scree of co-lead singer Annie-Claude Deschênes. Super disco-breaks reminiscent of the dance punk of NYC’s legendary 99 Records (ESG / Liquid Liquid) slither in on “Daffodils,” and the blistering pop of “She’s Gone” rivals Thee Oh Sees most burning tracks.